Getting support is essential for parents with autistic children. Support groups can provide both practical ideas for dealing with daily life and emotional support for families dealing with autism. 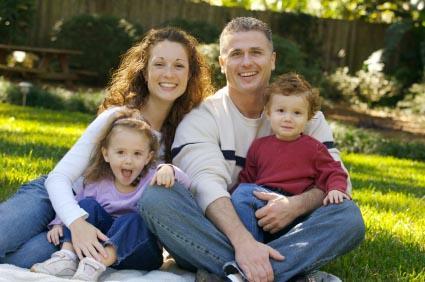 Among the most important support systems for parents dealing with autism is the family unit. The first line of support comes from within the family. Parents need to talk about their child's diagnosis, their feelings about it and their plans for long-term care of the child with each other. They should also talk to nonautistic siblings who are old enough to understand about the diagnosis and how life will change. When families don't communicate enough about their feelings and life with autism, misunderstandings and frustrations can add more stress to the situation. Talk to your child's therapist and doctor about effective ways to communicate with each other about autism in the family. Spending time together is important, but it can be challenging, too. Developing activities that everyone in the family enjoys can help, and sometimes, this involves simply spending a quiet evening at home to focus on each other. Community outings have many obstacles, but as a family unit, you can develop strategies for dealing with behaviors in public places. Family support groups can help you realize that you are not alone. Your child's doctor can provide you with information on local autism support groups. You can also visit the websites of national autism organizations, such as The Autism Society, which has lists of local chapters throughout the USA, any of which can connect you to parent support groups in your area. The site also has helpful articles to assist parents. National Autism Association (NAA): The NAA site has contact information for local chapters throughout the USA, links to Yahoo message boards on autism issues for parents, and helpful articles. Autism Research Institute (ARI): The ARI is the primary resource for information on biomedical treatments of autism, the Defeat Autism Now (DAN) protocol, and links to biomedical autism specialists and support groups. The ARI also has helpful autism research articles. Autismweb: Autismweb is a site created specifically as a resource for parents to learn more about autism, treatments and support options. It includes a message board for parents to discuss issues related to parenting children with autism. Autism Speaks: Autism Speaks is an advocacy group that provides links to local resources and chapters throughout the USA, autism research information and information on autism treatments, civil rights and living with autism. Autism Support Daily: The Vermont-based support group assists local families dealing with autism. The nonprofit organization has local support group meetings and it provides financial assistance opportunities to Vermont families. The site also has a Yahoo message board for parents that is open to parents of autistic children in all locations who seek online support to discuss life with autism. Help for parents of children with autism is available in many forms. Utilizing all available autism support resources can prevent stress from taking over your life and help you focus on what is most important - helping your child and providing a happy life for the entire family.